Cool, don't let the Crocotile die! It's an amazing and unique software, I can't imagine creating low-poly/pixel-art 3D models in anything else, it's sooo easy, fast and fun to create even complex models in Crocotile. On the picture below, the bottom white tile has been resized by repeatedly pressing 'd' key to move vertices right. The second white tile has been resized by holding 'd' key. As you can see, it results in a misaligned position. 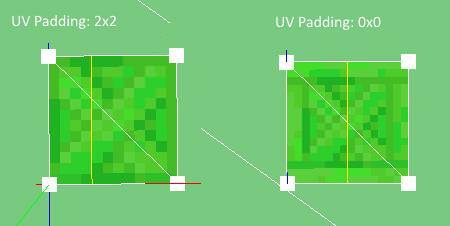 In the image below, the first tile has been placed with UV Padding: 2x2 and the second tile with UV Padding: 0x0. 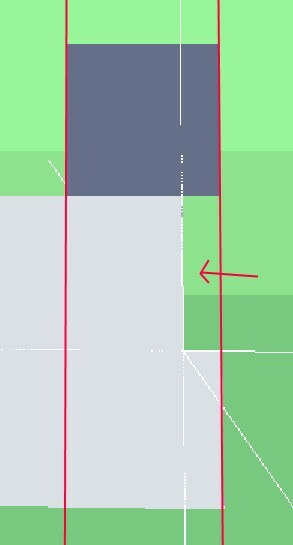 UV Tilesize is 16x16 and Tile splitting is 8. When trying to split the first tile, the cutting line is "shifted" resulting in unequal parts. The second tile is correctly splitted in equal parts. The idea is to have a toggleable lighting facing from camera - sometimes tiles "blend" together and its hard to tell the geometry, lighting would help a lot. The idea is too have a shortcut to pick a tile, similar to how color picker works: when you pick a given tile, its automatically selected in tileset window so we can quickly place another one. Hm but changes made to an object are reflected on all instances, so in fact we're editing all object instances, not only the selected one. As the title says - I think it should center to the origin of the object. When we select "Edit object", there's no way to tell which object are we currently editing - there should be some kind of highlight/indicator on the objects list. 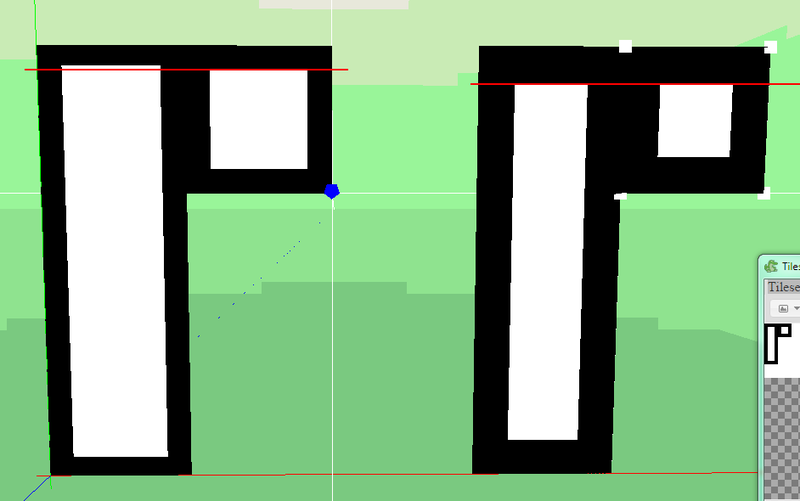 It would be useful to render overlay lines (like in split action) when subdiving a face, because right now it's hard to tell what's "columns" and what's "rows".